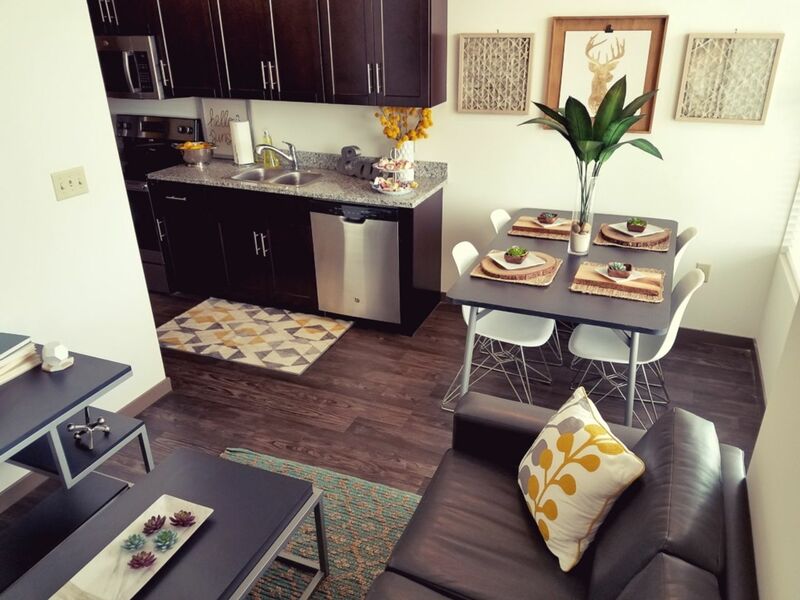 From your student housing at Block 75 Apartments, you’re a short drive to downtown Albany and iconic attractions like the New York State Capitol and The Egg, a bizarre-looking performing arts venue where you can spend fun evenings at comedy shows and concerts. At weekends, explore beautiful Washington Park or wander round the fascinating New York State Museum. In winter, the Empire State Plaza is the place to go for ice skating, while in the summer it’s the venue for a popular farmers’ market. If you fancy a break from the city, head out of town and get closer to nature in the John Boyd Thacher State Park. Living at Block 75 Apartments, you’ll be able to roll out of bed and walk two minutes to the University at Albany, as it’s just across the street from your fully furnished apartment. That leaves you with plenty of time to wake up at your own pace in the mornings, but if you’re an early bird you might enjoy a workout in the 24-hour fitness center before class. 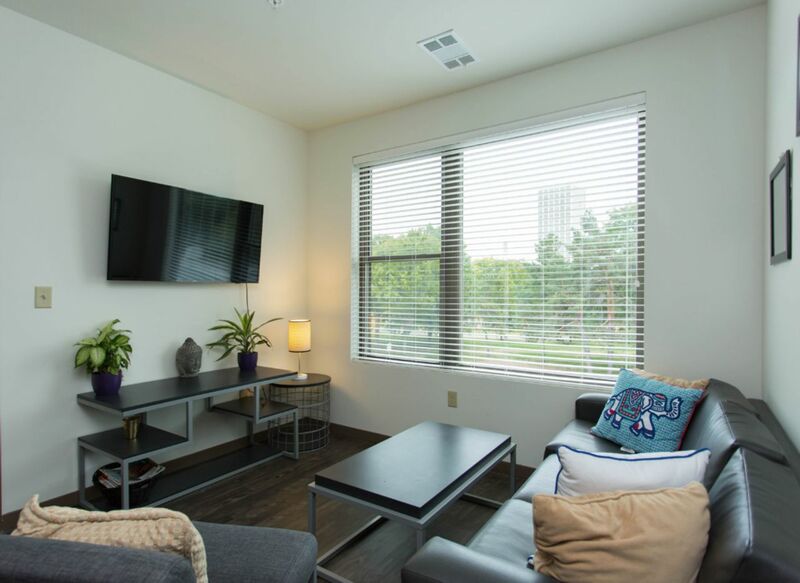 After showering in your private bathroom and making breakfast from your spacious kitchen, it’s just a few minutes’ walk to the heart of campus ready for a day of classes. Meet your classmates for coffee at Uncommon Grounds Coffee & Bagels before heading home to Block 75 Apartments to continue your studies in the quiet of your room or the study lounge. There’s free printing in the computer lab if you need it. When it’s time for a break from your books, relax in the courtyard with your neighbors, or gather round the fireplace at home with your housemates on cold winter days. If you don’t feel like cooking, it’s a short drive to downtown eateries like New World Bistro where you can eat Saigon street style fried calamari. Thanks to your open floorplan, there’s loads of room to invite your friends round for dinner, and you’ll love cooking with your brand new appliances. Grab popcorn ready for a movie night curled up in front of your cable TV before bed. 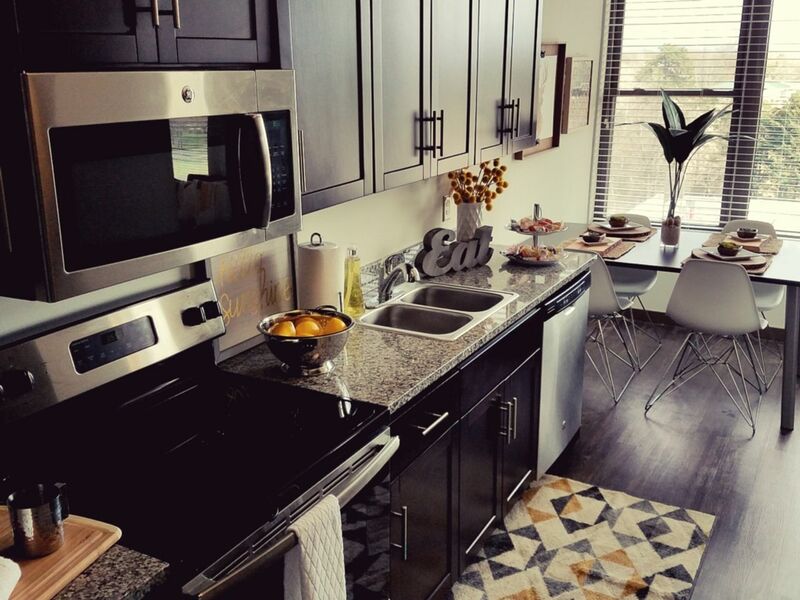 Pets are welcome at Block 75 Apartments, so you can bring your four-legged friend with you, and there’s a washer dryer in your apartment for keeping on top of your laundry. Even better, heating is included in your rent, so you’ll always be nice and toasty even in the cold New York winter. Wir haben leider keine Unterkunft gefunden, die deinen Wünschen entspricht.Alle Privatzimmer in Block 75 Apartments ansehen.